State Superintendent of Public Instruction Joy Hofmeister visited Spencer Elementary School in Oklahoma City to deliver school supplies personally donated by staff of the Oklahoma State Department of Education. Hundreds of thousands of Oklahoma children are academically at risk and on a path to shorter, more difficult lives as a result of childhood trauma. As professionals on the front lines, you know the myriad of factors many children must overcome before they can begin learning each day. Abuse, neglect, addiction and family separation are just some of the adverse childhood experiences that may inhibit academic and social success. A recent National Survey of Children’s Health revealed that Oklahoma’s youngest, most vulnerable children are the most adversely affected, suffering more trauma than those in any other state. Additional trauma rankings among our children of all ages are alarmingly high. We know you are hungry for knowledge surrounding the complex issues of adverse childhood experiences, or ACEs. Tickets to It Starts Here: Trauma-Informed Instruction, our Oct. 2 summit at the Cox Convention Center in Oklahoma City, were spoken for by our highest-need schools before we could open registration to all districts. To serve the hundreds of thousands of affected children in our classrooms and provide a path forward that is infused with resilience and hope, we will be live-streaming the Oct. 2 conference and archiving the video so all teachers can benefit from the day’s resources. To see the agenda, click here. On Oct. 2, please join us via Facebook Live on the OSDE Facebook page or our YouTube page. In addition, on Oct. 1 at 7 p.m., you are invited to a special free screening of the documentary film, Resilience, which explains how ACEs can affect not only learning but quality of life and longevity. To learn more about the screening, click here. When we think of the importance of giving all Oklahoma children access to a high-quality education, there may be no more critical work than to ensure a foundation of safety and caring. We cannot allow these frightening statistics to remain unchecked. Thank you for the heroic work you to do ensure every child’s needs are met so that learning may occur. We hope you can join us at the summit, in person or virtually, and at the Resilience screening. In 2015, State Superintendent of Public Instruction Joy Hofmeister commissioned a Teacher Shortage Task Force to target solutions for Oklahoma’s teacher shortage crisis. Of the task force’s eight legislative recommendations, seven were signed into law in 2016 focused on removing barriers for entry into the teaching profession. Legislation, for example, was passed to allow full reciprocity for those coming to Oklahoma from other states and revising requirements for alternative certification. Teacher pay is a top concern. Classroom management is another important problem area. Teachers feel a lack of autonomy in making instructional decisions. With the teacher and support staff pay raise now law, 2018 recommendations continue to focus on other incentives to recruit, retain and reward teachers. Those actions include increasing teacher externships, providing more opportunities for military veterans and their spouses, allowing certification test fee waivers for low-income-eligible applicants and adding Lead and Master teacher status to certification types. To see the Task Force reports, click here. Some students learn better with instructional accommodations. Instructional accommodations are changes in the way a student accesses learning without changing the actual standards a student is working toward. 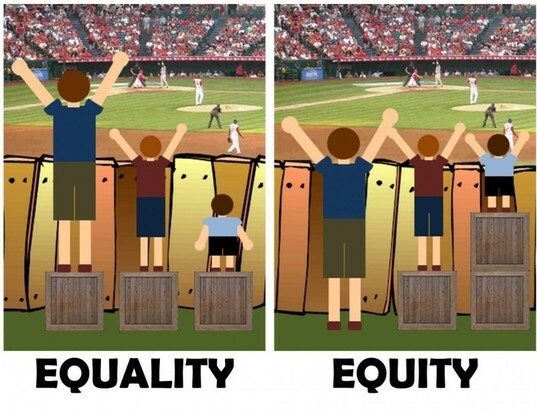 Accommodations do not change the content of instruction or expectations for performance. Teachers must have clear goals for instruction based on grade-level academic content standards and benchmarks or indicators. Decisions about which accommodations to use should vary from child to child and be made by that student’s IEP team. OSDE has prepared a handout offering ideas for accommodations in textbooks and curriculum, the classroom environment, instruction and assignments, and possible behavioral expectations that may be helpful when educating students with disabilities. FREE WEBINAR: OSDE is continuing its IEP webinar series, “How to Write an Effective and Compliant IEP.” This series covers topics such as free and appropriate public education, teaming, present levels, goals, services/least restrictive environment, Oklahoma Alternate Assessment Program, accommodations and secondary transition. The next webinar will take place from 11 to 11:30 a.m., Wednesday, Sept. 26, and will be repeated at 11:45 a.m. The webinars will take place at the same time every other Wednesday this semester. For more information and to register, click here. 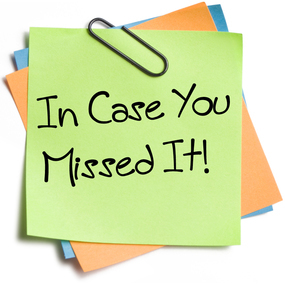 To download the EngageOK on the Road PowerPoint on accommodations, click here. A good visual can be the key to understanding (and remembering) a seemingly abstract concept. 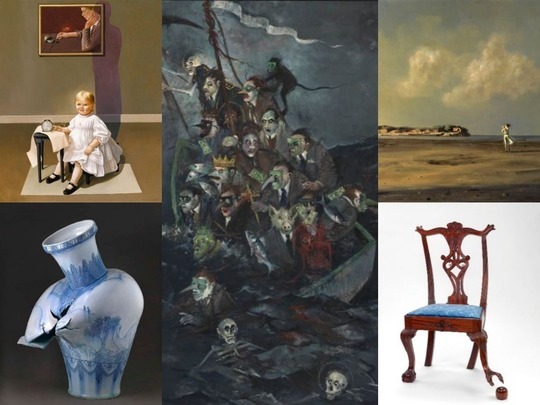 Take a virtual field trip to the Smithsonian American Art Museum to teach common literary devices such as foreshadowing, allegory, irony, mood and anthropomorphism. To view the art online, click here. Have you wanted to take your classes on a field trip, only to be hindered by cost, time, lack of buses or reasonable destinations? What if there was a way to explore different parts of the world without leaving the classroom? With virtual field trips, your class is able to explore, play and learn without any travel time. What are virtual field trips? Virtual field trips combine video clips, images, research and interactive activities to immerse students in learning opportunities. They can be customized to a specific set of standards or stand alone as a broad educational experience. To find links to apps that can deliver virtual field trips to tablets, click here. Virtual field trips can be asynchronous or interactive. To access a beginner's guide, click here. Christine is a teacher with 10 years' experience who has lived in four states and taken her language arts and math classes (virtually) everywhere, including the heart of the civil rights movement, Darfur, London, the Bronx, the Olympics and an NBA game. ENGLISH LEARNERS: Oklahoma is a pilot state for WIDA’s new e-learning modules. Until June 30, every educator in the state can access four self-paced e-learning modules, complete with handouts and lessons designed to help teach English learners. Users can also print PD certificates. For a flyer, click here. A WIDA website login is required to access the modules. To get one, contact your WIDA district learning coordinator. Districts: To establish a coordinator, click here. ENCYCLOMEDIA CONFERENCE: OTA/Encyclomedia Conference will be held Nov. 29-30 at the Cox Convention Center in Oklahoma City. Highlights of the conference will include 100+ breakout sessions, 100+ exhibit booths, sessions on new curriculum, instruction and testing changes, a maker space, Google classrooms in the exhibit hall and much more. For more information, click here. FORMATIVE ASSESSMENTS: Join an interactive webinar from 3:30 to 4:30 p.m. Sept. 19. It is offered in part by the Central Comprehensive Center (C3) and is designed to support high-quality formative assessment at the state, district, school and classroom levels. To register, click here. GEOGRAPHY ACADEMY: Learn how to teach controversial topics, past and present, at the upcoming 2018 World Geography Academy. These events are open to all grade-level teachers. Events will be held from 8 a.m. to 3:30 p.m. at the National Weather Center in Norman. Middle/high-level curriculum focus is Sept. 20. Elementary/middle-level curriculum Focus is Oct. 23. Cost is $25. For more information, click here or email the Oklahoma Alliance for Geographic Education. The start of a new school year is the perfect time to start building relationships with students. Try greeting students at the door to your room at least one day per week. Find a student you don’t know well on the playground or in the lunch line, and ask them about their favorite superhero. Say hello to students in the hallways, especially students you see on a regular basis. Even if the student is not in your class, building a relationship could lead to future interactions. Within your classes, make a goal to visit with one student every day or every few days. By the end of the first semester, you will have established relationships with a host of students. Avoid raising your voice unless it’s an emergency. Acknowledge a change in plans if you need to make one. Always say “please” and “thank you”; never demand what you want. Take responsibility for any mistakes you make and make amends. Be consistent and fair to all students; show no favoritism. Offer support in helping students reach their goals. Positively reinforce students when they do something right. Show that you care more than you show authority or knowledge. Elizabeth has taught for 14 years in Oklahoma and Kansas, most recently in Piedmont, and is obsessed with the musical “Hamilton.” With as many as 90 students in her music ensembles, she believes students will not buy in until they know you care. 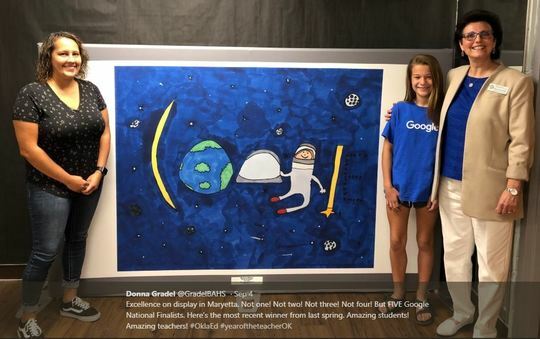 Oklahoma Teacher of the Year Donna Gradel (right) visits Maryetta Public Schools in Stilwell to see firsthand the artwork of a Doodle 4 Google state finalist Breanna Wilson. This is the Year of the Teacher in Oklahoma. One of my goals this year is to visit all 77 counties in the state to meet teachers. Over the past month, I have had the privilege to meet hundreds of teachers, some in group settings and others in their classrooms, in lunchrooms and on playgrounds. I’ve met first-year teachers bubbling with enthusiasm and retired teachers who have returned to the classroom to continue fueling their desire to educate our young students. I’ve seen the passion in the eyes of teachers who have seen their dreams come to fruition in the form of newly implemented and desperately needed district programs. I’ve heard the relief in the voice of the teacher who can quit her second job and dedicate that time to her students. One commonality I have found, regardless of grade level, socio-economics or geographical setting, is OPTIMISM. For the first time in over a decade, there is an underlying theme that the tide is changing, and the needle is moving in the right direction. Have we reached our “True North” for Oklahoma public education? Not hardly, but we are headed in the right direction. Contact Donna at donna.gradel@sde.ok.gov if you’d like a visit to your school. Five Oklahoma teachers have been chosen as state-level finalists for the Presidential Awards for Excellence in Mathematics and Science Teaching (PAEMST) at the elementary level. Established in 1983, PAEMST is the highest recognition a K-12 mathematics or science teacher may receive for outstanding teaching in the United States. Awards alternate each year between elementary and secondary teachers. To read more, click here. 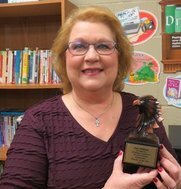 In addition, Jane Williams, a social studies teacher at Centennial Elementary School in Edmond, has been named one of 10 finalists for the 2018 National History Teacher of the Year Award. The Gilder Lehrman Institute of American History will select the national winner in October. To read more about Jane, click here. NEWSPAPERS IN EDUCATION: Get free access to The Oklahoman’s digital print replica, digital archives and Oklahoma-centric, topical curriculum through Newspapers in Education. 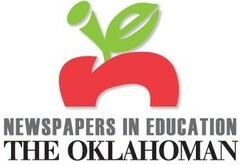 Services are free through May 24 to Oklahoma teachers who register. To explore, click here. BEE SMART: September is National Honey Month. It’s a great time to introduce your students to the state insect through Ag in the Classroom’s free lesson plans about honeybees, suitable for grades 1-7. Read about George Washington Carver, learn about hexagons and explore pollination and the viscosity and crystallization of honey. To explore, click here. FAMOUS OKIES: Find and print one-sheet biographies about notable Oklahomans from the Oklahoma Council of the Social Studies. While on their site, look for videos to commemorate Constitution Day, Sept. 17. To explore, click here. Do you know a classroom teacher or principal who demonstrates exceptional educational talent and whose exemplary accomplishments beyond the classroom provide models of excellence for the profession? We are looking for early- to mid-career individuals whose contributions are largely unheralded yet worthy of the spotlight for our State Educator Talent Pool. 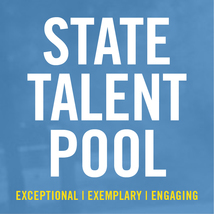 From our talent pool, we pull engaging and inspiring educators to serve on special task forces and advisory groups and sometimes for special recognition. Deadline for recommendations is Dec. 15. This is a confidential process. For a recommendation form, click here. QUIET ENGAGEMENT: Some teachers are changing their evaluation of class participation to allow introverted students a chance to shine in nontraditional ways. To read the story, click here. TWO MILLION BOOKS: Tulsa-area students read more than 2 million books to celebrate the opening of the city’s newest park. To read the story, click here. TEACHER WINS SURPRISE CHECK: Lawson Thompson was talking to kids about Carney’s top FFA program when he was surprised with a $5,000 cash prize. To see the video, click here.